Check out the link to the right for details on the main political parties’ recent record on public libraries then check the tally showing the record of each authority on library issues. Libraries are great defenders and upholders of democracy. It may be time to return the favour. ALA commends Sen. Reed for efforts to ensure FEMA provision includes libraries as temporary relocation facilities – American Libraries (USA). 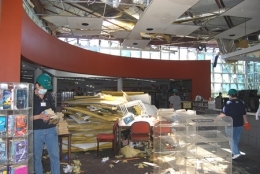 “Libraries are vital information hubs, and in the aftermath of a disaster, libraries take on an even greater community role, providing free and easy access to technology and essential information.” This legislation is really coming into play at the moment as Tornadoes Rip Apart Several Libraries in Alabama. “First they came for the public libraries…” Thoughts on professional duty – Undaimonia. Some, non-public, librarians have suggested avoiding supporting their less fortunate public librarian brethren. Others see supporting their colleagues as essential. High Court reviews for library closures – BookSeller. Mentions the court case involving Gloucestershire and Somerset and the council climbdown over closures in Suffolk. Make a noise in libraries (MANIL) fortnight 6-19 June 2011 – RNIB. Campaign to improve access and resources for blind and partially sighted people. Plans to outsource public services scaled back – BBC. Government sees widespread privatisation of public services as unpalatable for the public and targets Big Society alternatives, according to leaked CBI document. Public Libraries, Social Media and News Media – Walk You Home. Notes and slides from a talk to MA Librarianship students on the Voices for the Library campaign. Should libraries be sponsored? – Trapped by Monsters. Threat of statutory duty removal – UNISON. Repeated assertions by the Minister for Libraries notwithstanding, statutory protection of libraries is under threat of being withdrawn, along with many other regulations previously thought essential for society. Dorset – Council improve offer to libraries under threat – View Online. Improved offer of books/computers/staffing “goes nowhere near solving the problem”. Enfield – Grand re-opening for threatened Ordnance Road library – Enfield Independent. Two self-service machines installed, new jobs club started. Closure of library not certain as yet. Lewisham – Campaigners letter – Alan Gibbons. Reaction to Lewisham’s divestment proposals. Surrey – Elmbridge borough council elections Molesey East – Elmbridge Today. All three candidates are campaigning on a keeping Molesey Library open platform. 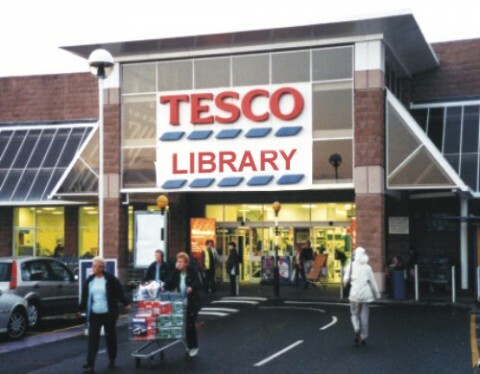 Warwickshire – £100k fund to help communities set up their own libraries – Coventry Telegraph. “Strong interest” from people to run 16 threatened libraries. Print article This entry was posted by Ian Anstice on May 4, 2011 at 8:35 pm, and is filed under Uncategorized. Follow any responses to this post through RSS 2.0. You can skip to the end and leave a response. Pinging is currently not allowed.